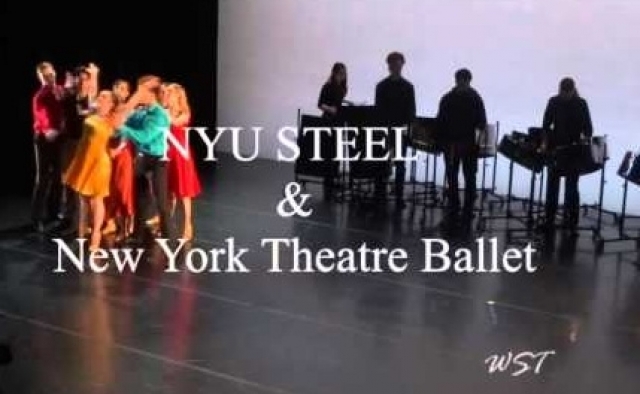 New York Theatre Ballet is our leading chamber ballet company. 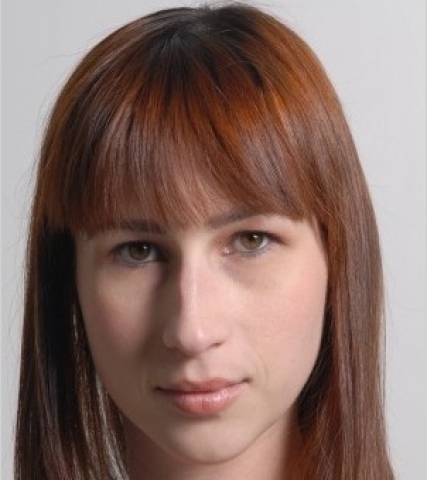 Founded forty years ago by Diana Byer, the company has succeeded in presenting fresh takes on classic choreographers like Frederic Ashton and Merce Cunningham year after year. 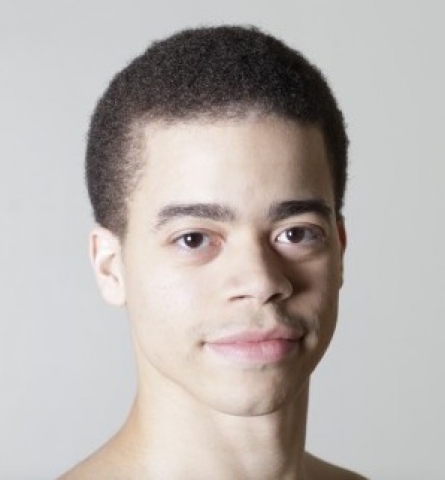 New York Theatre Ballet introduces up and coming choreographers like Milissa Payne Bradley and Stephen Melendez. This classically-trained troop goes from pure classical to modern, incorporating elements of dance from Asia, particularly in hand and arm movements and positioning. These gestures are often and abrupt yet provide pleasing contrast to the smooth movements of the classical genre. What is disconcerting is also thrilling. 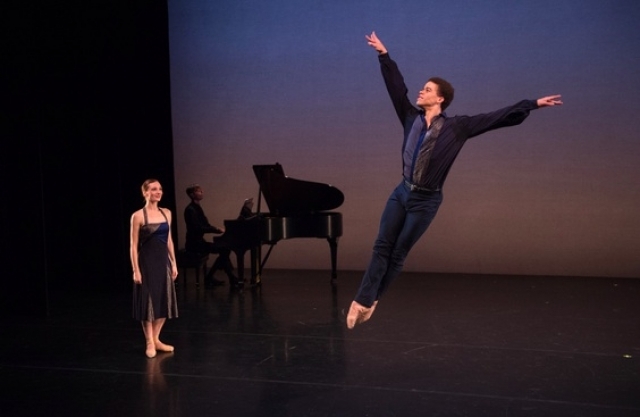 For their winter program at the New York Live Arts Center, the live music of Gabriel Faure on the piano and cello set the stage for Amanda Treiber, Mayu Oguri and Joshua Andino-Nieto performing in Bradley's Chemical Bond with fluid ease and seamless motion. Costumes by Sylvia Taalsen Nolan were unusual and yet apt. Flaps fluttered off the white textured material and the skirts were also swept to and fro. Nolan, who has a day job as a costume designer at the Metropolitan Opera, says she loves to design for dance and clearly she has a special feel for its needs. She creates outfits in total sync with the dancers and the dance. Martin Lawrence restaged Richard Alston’s Such Long with Michael Scales playing Chopin on solo piano. How can we describe the extraordinary Stephen Melendez? Although he has clearly perfected his classical training, every movement he makes seems effortless and without pre-meditation. It is so fresh and flowing. Of course, his footwork is precise, he changes direction with ease and his jumps are clean and powerful. His unexpected inventions remain aha moments. He and Amanda Treiber are only the most commanding of the talented company. Kyra Nichols staging of Jerome Robbins' Antique Epigraphs concluded the first half of the program. Duo pianists were bracketed by Mira Magrill on flute playing Debussy's music. Philip Glass' luminous Piano Etudes No. 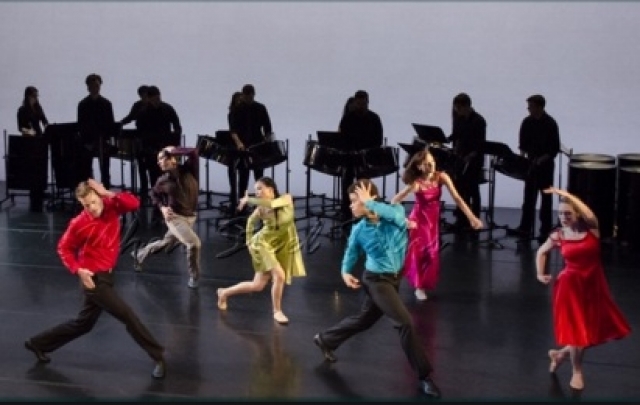 1-10 were performed by a group of percussionists known as NYU Steel from New York University's Steinhardt Music and Performing Arts Professions. How often is the music underpinning dance less complex than the patterns of the dancers' movements as they create an atmosphere? Glass' repetitions served well as a base. There chiming tonal beauty echoed the feeling of the dance. It was a joy to watch no toe shoes in these songs, and the intricate intertwining of the dancers led to an acrobatic, athletic and complicated visual tableau. Keep your eyes, your heart, mind and calendar open for future performances by this inventive and talented company.